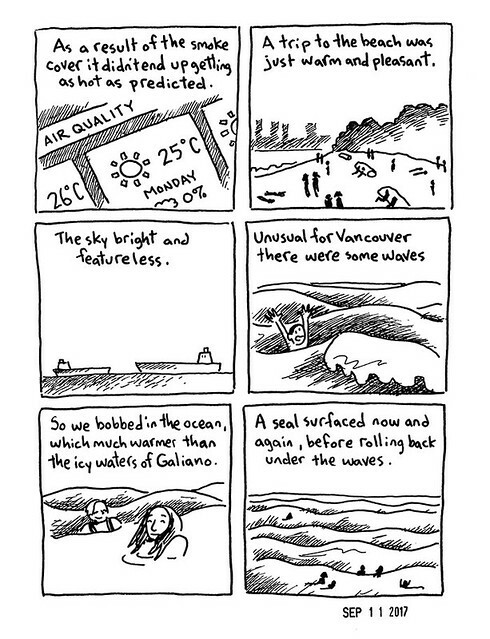 I am working on a new issue of Vinegar, drawing little stories and things from the summer. 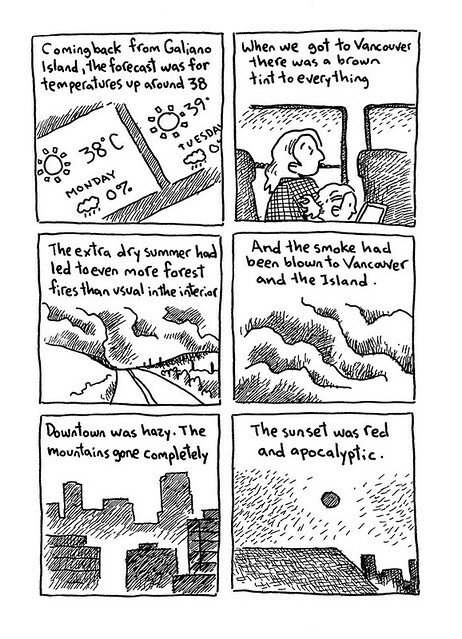 Back in August there was a week where smoke from the forest fires blew over the city and I drew this comic about it. Yesterday as I worked on it, I happened to be listening to a WTF podcast where the guest was Al Gore. At one point in the conversation Marc Maron was exasperated asking what it would take for people to accept that climate change is real and we need to do something about it. Which just happened to come up in this comic, so I thought I would post it here. 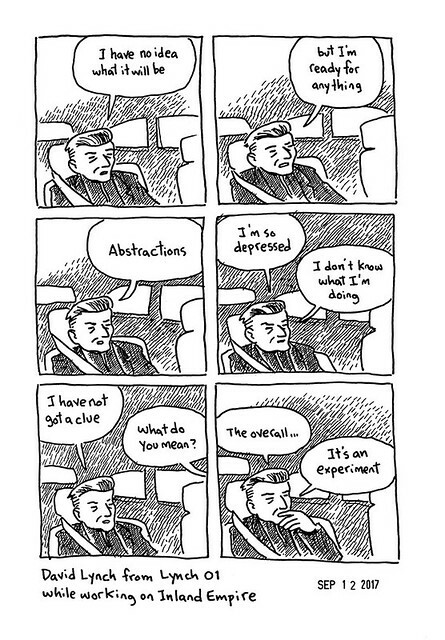 I need to do a post about Twin Peaks ending, but I have a couple of other comics I need to finish first. And maybe a drawing. 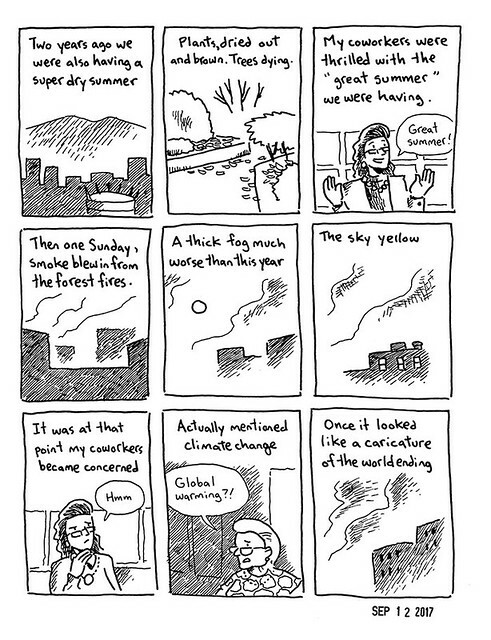 In the mean time, here is a comic of David Lynch, with dialogue taken from the documentary Lynch 01, made while he was working on Inland Empire.